Join us for the afternoon of June 9 at Kickstarter’s beautiful theater at 58 Kent Street (that’s Kent STREET, not Kent AVENUE! ), Brooklyn, for an afternoon of informative and interesting panels of, by, and for filmmakers. We’ll close out the afternoon with a happy hour! All free of charge. This year, we’ll have two discussion panels and our ever-popular documentary pitch session. We’re also happy to continue our “Lunching with Lawyers” session. Filmmakers: sign up for 20 minute sessions with experienced entertainment attorneys about potential legal pitfalls on your projects. Let us know at exchange@wbff.org if you’re interested! Our first panel will be a conversation by and about women working as crew on film, TV, and independent projects, and will focus on the current changing employment landscape for women, hopefully for the better. How are hiring decisions are being made to be more inclusive in this day and age? How can you get your next gig? How have things change for the better (or worse) in the past couple of decades? What still needs to change? Our current roster includes Rebecca Rivo (producer, The Deuce; The Way Way Back), Taylor Roy (sound recordist, David Blaine: Real or Magic), Jasmine Ballou Jones (set decorator and art department, Black Swan and others), and Ashley Connor (Cinematographer, Thou Wast Mild and Lovely). Our second panel will be a comparison of film financing models in the US and Mexico, and features special guest Márcia Mayer (director, Manos sucias), Carlos Gutierrez from Cinema Tropical, Priscilla Torres (producer, Nos llaman guerreras), and filmmaker (and BFF alumnus) J. Xavier Velasco (producer, I’m Leaving Now), and Rodrigo Brandão, Director of Communications at The Intercept. Whether you’re looking for national film board funding or putting together a group of private investors, both fundraising strategies require many of the same skills. Funding opportunities exist for North American filmmakers working outside the US! This panel will include valuable information on how US filmmakers can use financing programs for their film projects in Mexico City. Many thanks to the Young Professionals of the Americas Society for co-presenting this panel! The BFFX Pitch Session is always a highlight of the BFFX. As in past years, we are gathering a group of stellar works in progress that will be pitched to a panel of industry experts, including Erika Howard from POV; Tony Gerber, Brooklyn College Fierstein School of Cinema faculty, director/producer – We Will Rise; Yoruba Richen, CUNY Journalism School Grad Center faculty, director/producer – The New Black, Kuye Youngblood, Head of Development and Production at BRIC TV, Deb McClutchy, Oscilloscope Pictures, and Julie Anderson, Director/Executive Producer. 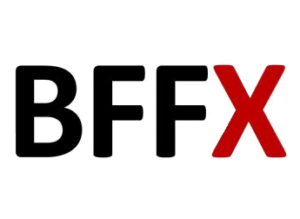 For the winner of the BFF Exchange Blue Table Post Pitch Award, Blue Table Post is please to offer up to 10 hours of sound services and 10 hours of color grading services toward a trailer or to finish your film. This award is valued at $8,000! Good luck to the pitch projects! Blue Table Post is a full service post production facility in Boerum Hill, Brooklyn, offering film and television editorial, sound mixing & design, digital intermediate color grading and visual effects.Founded by multi Emmy Award winning editor Oliver Lief, ACE, Blue Table Post is dedicated to providing superior post production services in a very special environment. Edit in sound isolated edit rooms with your editors or ours. Mix in a state of the art Dolby Atmos mix room with Emmy nominated sound mixer and designer Rich Cutler (Mad Men, Iconoclasts). Grade your project with one of our amazing colorists. Let us take care of visual effects in collaboration with Mechanism Digital. Work in the terraced garden connected to the SAN or by the fireplace. Production office space and secure parking are available. 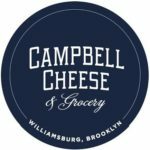 In the heart of Brooklyn’s celebrated restaurant row, and conveniently located near many subway lines. One of Blue Table’s most recent projects, To Dust, won the Audience Award and the Best New Narrative Director Award at the 2018 Tribeca Film Festival. 5:00 pm # HAPPY HOUR! 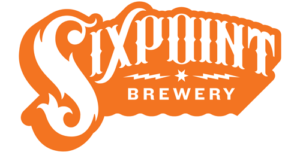 Last but not least: we’ll top everything off with our HAPPY HOUR from about 5-7 pm on Kickstarter’s sweet penthouse garden, sponsored by Brooklyn’s own Sixpoint Brewery and Line 39 Wines. Join us for the afternoon of June 10 at Kickstarter‘s beautiful theater at 58 Kent Street (that’s Kent STREET, not Kent AVENUE! ), Brooklyn, for an afternoon of informative and interesting panels for of, by, and for filmmakers. 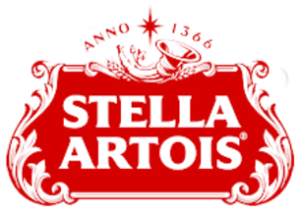 We’ll close out the afternoon with a happy hour sponsored by Stella Artois! All free of charge. We all know Kickstarter’s GREAT for funding. But Elise McCave, Director of Narrative Film at Kickstarter, will run you through all the other reasons why you should be working with Kickstarter on your next project. It’s well known that NYC is a major center of TV production, especially in the nonfiction realm. Many documentary filmmakers are also working in television to support themselves in addition to their doc projects. Unscripted television jobs in NYC are out there, and the skills required obviously overlap with those used in documentary storytelling in general. Hear our panel discuss their experiences working in television while balancing their work on their passion projects. Panelists: Steve Rivo (CNN, Nat Geo, PBS), David Van Taylor (CNN, ITVS), Jess Beck (TruTV, CNN), and Jonah Kaplan (Vice). A good working relationship between directors and producers is crucial to getting a great project completed. Our panel of filmmakers talk about what it takes to make this relationship thrive, and the importance of a great producer to your director-driven project. Panelists: Julie Bridgham, Moderator (BFF Documentary Programmer, “Sari Soldiers”), Rebecca Dreyfus (“On Meditation,” “Stolen”), Susannah Ludwig (“On Meditation,” “Boomtown”), Lisa Ferri (ABC News), Kweighbaye Kotee (“Bushwick Diaries”). Join our experienced entertainment attorneys for a 15-minute individual consultation about a legal topic of your choice. It can be an issue you’re having with a production, intellectual property concerns, or employment challenges. Let us try to help you out! Email exchange@wbff.org to sign up for a time slot, or even better, show up in person to guarantee a spot! Entertainment attorneys: Innes Smolansky, David Morrison, Laverne Berry, Matt Rogers. Join the Young Professionals of the Americas Society for an afternoon with BFF narrative feature programmer Emilia Ferreira and Rodrigo Brandao, VP of Marketing and Publicity at Kino Lorber, as they discuss independent film in Latin America and the US. In an increasingly connected and multi-lingual world, what does it mean for a film to be from “the Americas” and how important is this for festival programmers? We’ll also hear from BFF 2017 directors Catherine Eaton (The Sounding), David Bly (Sweet Parents), Rodrigo Reyes (Lupe Under the Sun), and Fernando Frahia (El Revenge) for their perspectives on this cultural intersection, as well as their plans for their films next steps. Back by popular demand, our exciting pitch session offers filmmakers a showcase and valuable feedback for their works in progress. Past pitch session films have gone on to screen at Brooklyn Film Festival, Full Frame, DOC NYC, BAM CinemaFest, Tribeca Film Festival, HotDocs and more. Each filmmaker pitches their film to a panel of experts, showing a brief excerpt and presenting a verbal pitch. Then each receives valuable feedback from our panel about the pitch and next steps for the project. Panelists: Tony Gerber (“Notorious Mr Bout”), Erika Howard Director of Audience Engagement and Special Projects @ POV (TBD), Deb McClutchy (Oscilloscope), Elise McCave (Kickstarter), Heidi Reinberg (Documentary Producer “93Queen” and winner of HotDocs Forum Pitch Session 2017). Join us in Kickstarter’s lovely space for networking, conversation, and Stella. Snacks offered by the Young Professionals of the Americas Society. Brooklyn Film Festival Exchange returned to BRIC House, 647 Fulton Street, Brooklyn, on June 11, from 11 am to 5 pm. All free of charge. from 11:00 am to 5pm. Peter Decherney, Professor of Cinema and Media Studies at the University of Pennsylvania, will present a talk about how you can creatively use the fair use doctrine to provide valuable copyrighted footage for your documentary project. He’ll break down the history of fair use and show you examples of how the doctrine has provided another creative tool in filmmakers’ toolbox through examples in recent films. We’ll have a question and answer session at the end. It’s going to be very informative and helpful for your next project. Join experienced entertainment attorneys for a 15-minute individual consultation about a legal topic of your choice. It can be an issue you’re having with a production, intellectual property concerns, or employment challenges. Let us try to help you out! Email exchange@wbff.org to sign up for a time slot between 12 and 1PM. 1:00 pm # Today’s Digital Content Commissioners: Who are they and how do they work? Short form video content is exploding online but who are the commissioners and how can you put your filmmaking skills to work for them? Panelists: Valerie Lapinski, Head of Video/Guardian US; Susie Banikarim, SVP, Audience and Content Strategy/Vocativ; Grant Jones, General Manager/The Kicker. We’ll take a look at the current state of filmmaking in virtual reality. We’ll have an incredible panel break down topics of interest about VR filmmaking for filmmakers and audience members who are interested in looking behind the headsets. We are thrilled to have three filmmakers to share their experience on VR projects, but we are also excited to have a distribution lens trained on the topic from Jenna Pirog, VR Editor for the NY Times Magazine. Specific topics to be discussed: narrative possibilities in VR; distribution for VR projects; producing branded content/advertising in VR; the future of VR filmmaking; what a set on a VR film looks like with a discussion of the techniques and equipment involved. Panel to last an hour with time built in for questions from the audience. Panelists: Eliza McNitt, Jenna Pirog, Ted Youngs. Panelists: Tony Gerber – Award-winning documentary filmmaker; Innbo Shim – Head of Production, The Documentary Group; Aubrey Gallegos – Community Engagement and Education Manager/POV; Stephanie Carter – Supervising producer for the Documentaries and Development unit at THIRTEEN/WNET. 4:30 pm # Happy Hour! Join the BFFX team and panelists for a happy hour sponsored by Heineken, official beer of the Brooklyn Film Festival. from 11:00 am to 6pm. This event is offered free of charge. Filmmakers have been collaborating with brands throughout the history of film, but the explosion of digital distribution and media channels have opened the doors for a wide range of creative branded content. This discussion will encompass using the digital realm to create compelling stories in the service of brands, as well as using digital storytelling for message films for organizations and non-profits. Participants from a wide variety of branded content producers will be participating. Keep in touch for details as the day approaches. Join the BFFX, Peter Decherney (professor of Cinema Studies at the University of Pennsylvania), and law faculty members from Cardozo, American, Suffolk, and UPenn as they discuss fair use, copyright, and a range of legal issues facing filmmakers today. They will also address the kinds of free services available at law clinics around the country. We know how hard it is to finance film projects. We’re assembling an incredible group to help you find the resources to fund your next project, including production partners who can help you beyond the financing stage. Join Impact Partners and others for a discussion and Q&A. It’s the 4th year for our documentary pitch session! Our panel of experts will help your film project get to the next stage. There’s still time to submit your documentary in production – prep a 5 minute or less clip to show the panel, and pitch your project for their feedback. It’s great practice and the advice you’ll get is invaluable. Contact exchange@wbff.org and we’ll start the process. Come talk with our panelists and filmmakers! Refreshments provided by our sponsor Beaujolais. Join the Brooklyn Film Festival at the third annual BFF Exchange on June 7, 2014 for an afternoon of conversation and connections. Participate in one of our panel discussions, drop in on our pitch session, or stay for the whole day. All events to be held at the screening room in Windmill Studios, 287 Kent Avenue (at South 4th Street), in Williamsburg. BFF Exchange will choose one lucky filmmaker at random to pitch his/her project to industry experts on Saturday at Windmill Studios NYC during the Pitch Session starting at 1pm. To be considered, bring 5 minutes of footage on DVD. Email exchange AT wbff.org for more details. Hear from BFF filmmakers who are producing unique online content, including short documentaries and narrative films, which are being seen by millions of internet viewers, and talk with the people behind the online platforms that produce and host them. Featuring Stephen Greenwood, the Associate Creative Director at Vox Media and director of Tunnel Vision (BFF 2014), which was originally created for The Verge website, Nick Weissman, director of The Diamond Cutter (BFF 2014), which was originally created for The New Yorker website, award-winning New York Times videojournalist Shayla Harris, Documentary filmmaker from Fallout Pictures Bret Sigler, and Ed Urgola, Director of Marketing for Upworthy. George Schmalz, Community Manager for Film at Kickstarter, will moderate the discussion. Watch and learn as Brooklyn filmmakers present their works in progress to a panel of industry insiders and receive valuable feedback to help them complete their films. This information is invaluable to the participating filmmakers as well as to those filmmakers viewing from the audience – past participants have gone on to premiere films at the Brooklyn Film Festival, HotDocs and Tribeca film fests. Panelists Mary Kerr (Former Director of SilverDocs and the Flaherty Film Seminar, Producer of One Cut, One Life), Tony Gerber (Director, Full Battle Rattle, The Notorious Mr. Bout), Eliza Licht (POV), Debra McClutchy (Oscilloscope) and Lesley Norman (Production Executive, WNET). Films to be announced. Join BFF filmmakers from the Brooklyn Filmmaker’s Collective (Alex Mallis, Iva Radivojevic), Film Fatales (Leah Meyerhoff, Merete Meuller), UnionDocs (Beyza Boyacioglu, Sebastian Diaz, Maria Badia), and a representative from Meerkat Media (Zara Serabian-Arthur) for a discussion of film collectives and collaborative filmmaking in Brooklyn. Learn the ins and outs of what a collective is, how it benefits filmmakers, how you can get involved (or even form your own), and how making work in a collaborative setting might work for you. Discussion moderated by BFF Director of Programming Nathan Kensinger. Special thanks to Alex Mallis of the Brooklyn Filmmakers Collective for coordinating and envisioning this discussion. Come talk with our panelists and filmmakers! Refreshments provided by Sierra Nevada and Dark Horse Winery. We are excited to announce the second edition of the Brooklyn Film Festival Exchange. As the Brooklyn Film Festival has grown over the past decade, we have been continually impressed with the variety and quality of work being created by Brooklyn filmmakers. Brooklyn is now a veritable hotbed of creative activity and BFF wishes to provide an outlet for these filmmakers, and others who wish to be a part of the Brooklyn film community. Breakfast, Kickstarter presentation, documentary pitch session and lunch at indieScreen. All afternoon panels next door at Windmill Studios NYC. Happy hour at indieScreen. Coffee and bagels will be served. Elisabeth Holm, director of Kickstarter’s film program, will give us lots of insider information about how to use this amazing funding platform. Five documentary works-in-progress will pitch their films to a panel of industry insiders and receive valuable feedback. Each film will present 5 min. of footage and a 5 min. verbal pitch. This will be followed by 10 min. of feedback from our panel. This year’s panelists are Andrew Catauro (POV), Basil Tsiokos (Programmer for Sundance and DOC NYC/Consultant), Tracie Holder (Women Make Movies/Producer/Director) and Mat Levy (Passion River Films). Brooklyn Film Festival alumni Kelly Anderson (My Brooklyn), Michael Galinsky (The Battle for Brooklyn), Christopher Nizza (Dear Mandela), and Katie Dellamaggiore (Brooklyn Castle) discuss how screening at the festival helped launch their films and walk us through the ins and outs of the distribution process, offering their advice to filmmakers about to embark on distribution of their own films. Roberto Barrueco of the Mecal Film Festival leads a discussion about how to get your short film seen on the festival circuit and beyond. Some of our favorite boutique film screening venues come together for a discussion of how their operations work, their criteria for programming films, who their target audience is and more. Featuring representatives from indieScreen, reRun, UnionDocs, Nitehawk and more. Please join us at indieScreen as we close the Exchange with this opportunity to mingle with filmmakers and other members of the industry in a casual setting.